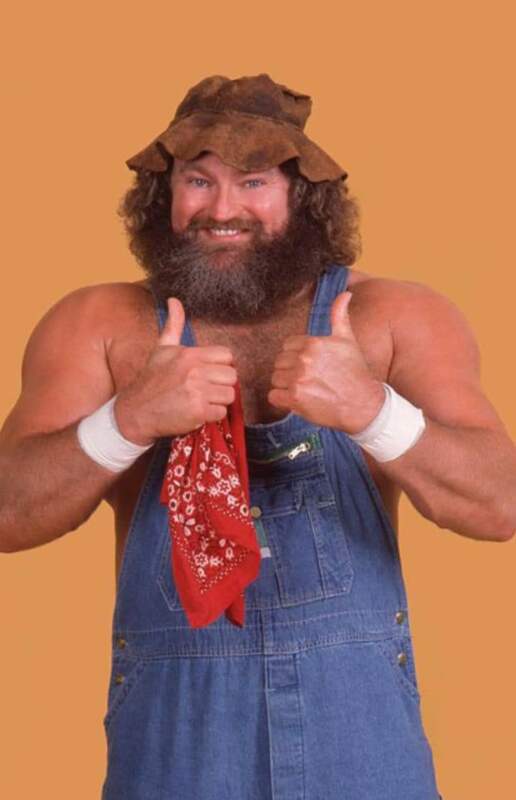 Mudlick, Kentucky's most well-known resident, Hillbilly Jim, is headed to the WWE Hall of Fame. The former wrestler will join Goldberg, Ivory, The Dudley Boyz and Jeff Jarrett as part of the 2018 Hall of Fame class that will be enshrined April 6 at the Smoothie King Center in New Orleans during WrestleMania 34 weekend. Hillbilly Jim, whose real name is Jim Morris, was born in Louisville, Kentucky but raised in Bowling Green, Kentucky, although during his wrestling days, and even at his current job as host of of Moonshine Matinee on Sirius XM's Outlaw Country, his character was/is from Mudlick, Kentucky, which, of course, goes much better with his Hillbilly Jim moniker. Morris was discovered in Bowling Green during the early 1980's by wrestler Mike Mann, son of Dale "TNT" Mann, who trained the soon-to-be WWE hall of famer. But, how did this giant of a man go from being an Allstate basketball player for Bowling Green High School to being a then-World Wrestling Federation Superstar? After playing basketball for several colleges, Jim left the states to play for the European League, then tried out for the N.B.A. When that didn't pan out, he made his way back to Bowling Green and spent his time working out in the gym while looking for a job. Some of you probably remember the days when there was this extraordinary huge character working as a bouncer at the Brass A Saloon and Mr. D's in Bowling Green. This is when Jim's positive attitude began to pay off. Dale Mann asked Jim if he'd be interested in wrestling. He later recalled those days by saying, "It comes down to knowing people, not only knowing them, but being ready to go when you get your shot. Sometimes you only get one shot. If you're not ready, they'll go on to somebody else." Fortunately, Morris knew this was it and went with it. Soon, he was signed by the Continental Wrestling Association, where he wrestled around the Memphis area as a biker aptly dubbed, Harley Davidson. He started attending WWE marches and soon some of the wrestlers like Rowdy Roddy Piper began noticing him in the crowd. His fame ballooned once he joined WWE, then known as WWF, as a happy-go-lucky country boy babyface known as Hillbilly Jim, who would strut to the ring dressed in overalls. He began his run in the WWF in 1984. His role as Hillbilly Jim came naturally to him, he said. He drew on his Kentucky roots to morph into a larger-than-life version of himself. "It was always a very doable and easy character to step into," Jim said. "I know a lot of country people. I know what that translates to. I did the best I could to bring that to the ring. It's a lot like I really am in person. I'm a happy, excitable kind of character. And I just wanted to denote happiness." In the WWE, Jim was aligned with Hulk Hogan and his popularity soared as he was pitted against the likes of Mr. Fuji during the infamous Tuxedo matches. The two rivals battled in formal wear in Philadelphia, St. Louis and most notably at Madison Square Garden in New York. For the now 65-year-old Hillbilly Jim, his popular Country and Southern rock radio show on Sirius XM is coming up on its 13-year anniversary. He is grateful to all of those who cheered for him from the stands and to WWE for giving him the platform in which he made his name. "I don't have my Sirius XM radio show because I'm Jim Morris. I've got it because I'm Hillbilly Jim," he said. "This company gave me Hillbilly Jim."